Reuters: U.S. President Donald Trump is part of a three-pronged attempt to undermine the European Union, Guy Verhofstadt, one of the EU’s top officials and its chief Brexit negotiator, said on Monday. The other two threats were from radicalized Islam and from Russian President Vladimir Putin, who Verhofstadt said was also working against the progress of the EU project. “We have a third front, for the moment, undermining the European Union, and it is Donald Trump,” Verhofstadt said in a speech at the Chatham House think-tank. 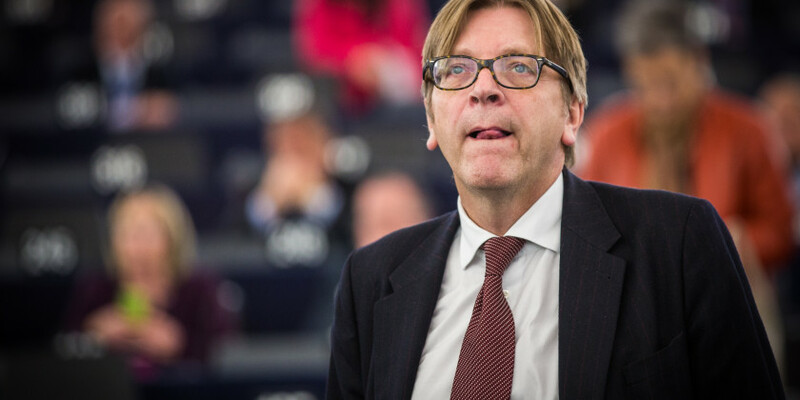 Mr Verhofstadt, a who is a Belgian liberal MEP, warned that nationalism was no way to run Europe and that it would lead to disaster. “Twenty million people have died because of nationalism in Europe,” he told his audience at Chatham House as reported by The Independent. “More deportation of illegal immigrants and more stronger border defenses” (with standing ovation) – Trump? NO! Clinton in 1995!